UPDATE: THANK YOU! 34 marvelous volunteers helped us inventory THOUSANDS of books! We love seeing how much got done. GFO has no paid staff. Our volunteers are the best. We could not exist without them. 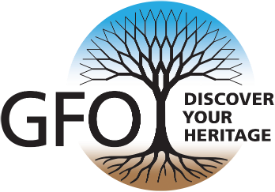 On #GivingTuesday, most non-profits are asking for monetary donations — and GFO would never turn those down — but this is our annual appeal for your TIME. This year we’ll be attempting a partial inventory of our books. We want to discover what’s missing AND get the books in the correct order on the shelves. People will work in teams, and there will be some book labeling for those who can’t stand to do shelf reading. We will bring in food to fortify us, so please give a few hours or make a day of it!